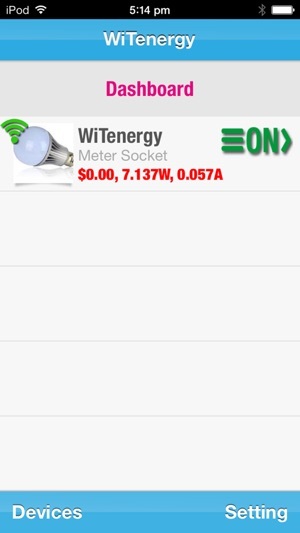 WiTenergy is a Bluetooth 4.0 connected Energy Meter Socket. 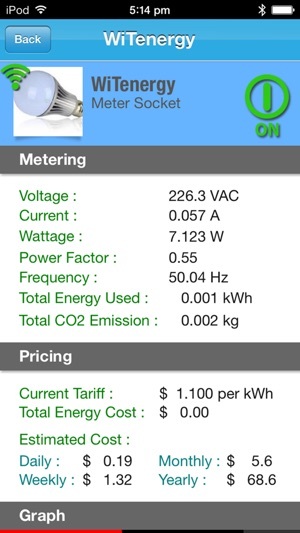 WiTenergy can seamlessly transmit your energy data: Voltage, Current, Wattage, Power Factor… to your iPhone and iPad. 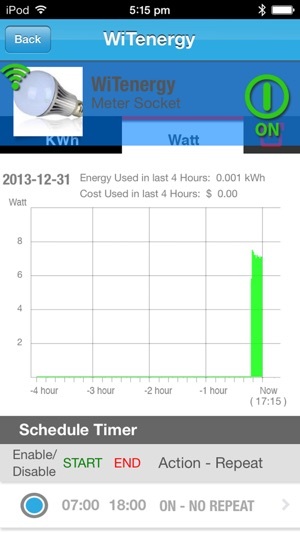 Energy Consumption of electrical device is stored and displayed on your iPhone/iPad. Besides, your iPhone/iPad can be your controller for the Socket. 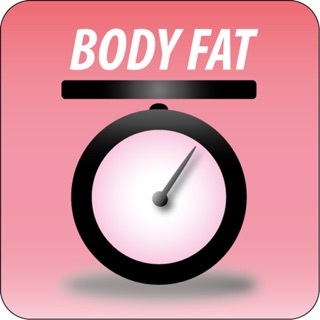 Timer, Scheduler, Overload protection, can be done through few clicks. 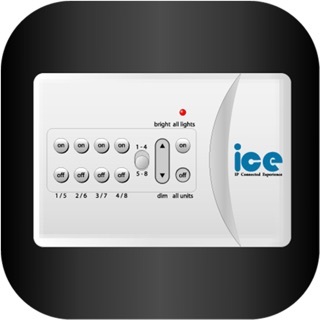 Your home appliances can be programmed by your iPhone/iPad. Bought (2) new E100S meter sockets on line. Followed the inclosed instructions. All seemed great until entering the current tariff. There's no way to enter it. 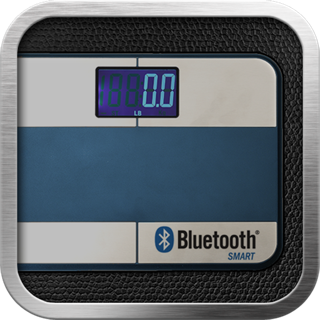 It shows the wording, but no buttons, links or ways to input. 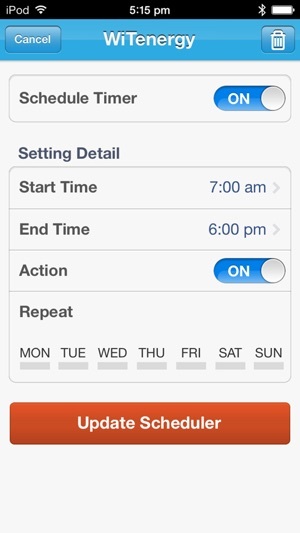 Also there is no icon or app settings, notifications in the apple setting area. In viewing the video on the web site. The device is a different style. When showing the setup, after paring the current tariff calculator is auto populated. No info in the included instructions for setting. Bought these especially to determine cost factors. Useless if this option doesn't work. But since iOS 9.0 release, it doesn’t load no more…i was thinking about purchasing more modules….Not until it start working again…3 stars until its updated. Worked like a charm until the last update. Now crashes every time it starts up.